When The Country Girls, Edna O’Brien’s first novel, appeared in 1960, it predated and anticipated the feminist revolution. It stood out and stood alone, upturning every category. There was little to compare with it. It tells the story of two young girls from Country Clare, Cait Brady and Baba Brennan, and tracks them from childhood through the vicissitudes of adolescence, marriage, emigration to Dublin and then to London and the terrible reckonings of adult life. Cait, the timid romanticist, who unfailingly falls for the wrong kind of man and suffers accordingly, is contrasted with Baba who is more hard-nosed, cynical, and pragmatic. The Country Girls Trilogy is outstanding because of its stylistic variation and the uncanny accuracy of its vision: each of the novels is tonally quite different but each achieves the same level of precision and insight into the social and emotional conditions of lives in 1950s rural Ireland and in London in the 1960s. Edna O’Brien’s first novel, The Country Girls, was published in 1960. Since then, she has published prolifically across numerous genres. Her works includes 18 novels, 9 collections of short stories, 4 plays, biographies of James Joyce and Byron, a cultural history of Ireland, a memoir, and a volume of poetry. 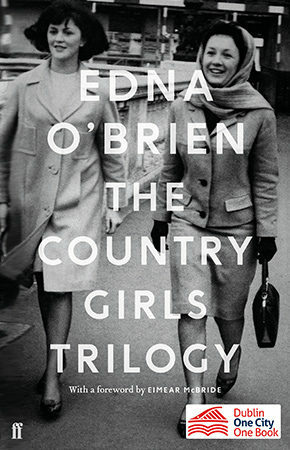 Edna O’Brien would be revered if she had written nothing other than The Country Girls Trilogy. However, she has continued to produce distinctive and engaging novels and stories that particularly follow the course of women’s lives and capture the emotional fabric of their worlds with unfailing accuracy and insight. Edna O’Brien has changed the fabric of the Irish novel by widening its circumference in enduring ways. She has used her breath-taking inventiveness, creative audacity, distinctive vision, and unsurpassed stylistic precision to give voice to female experience and sexuality and to bring a myriad of feminist themes into the ambit of the novel. Her fiction is above all to be relished for its truth, its wit, its emotional scale and depth, and the incisiveness of its style. To read Edna O’Brien is to make the acquaintance of a writer with a drive to represent the modern world in all of its uncomfortable and unlovely but eminently human aspects and of an artist besotted with the English language which she deploys with fastidious care. 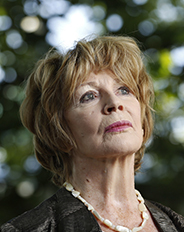 Edna O’Brien is the recipient of many awards, including the Irish PEN Lifetime Achievement Award, the American National Arts Gold Medal, the Frank O’Connor Prize and the PEN/Nabokov Award for Achievement in International Literature. Born and raised in the west of Ireland, she has lived in London for many years. Published by Faber & Faber.